The project has been six years in the making as the students have delved into the lives of more than 150 residents since its inception in August 2013. 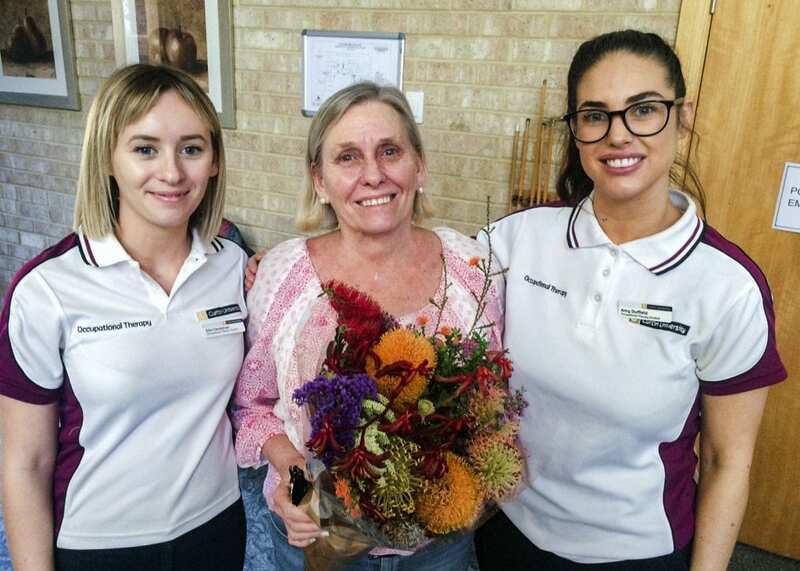 Along with Curtin staff members Anelle Young and Naomi Moylan, Catholic Homes Occupational Therapist and Project Leader Elizabeth Oliver states: “It helps the students see the real person despite their diagnoses and to gain confidence and experience”. Covering topics such as childhood, family, culture, religion, careers, hobbies, special achievements and future wishes, Elizabeth added: “Once you have seen the movies you feel a deep connection to the person”. While capturing the stories of the individuals is important for maintaining a sense of self-worth and wellbeing, the project also holds much historical value as a whole. For example, it was not unusual for families to have 10 or more children during the 1930s and 1940s or to see a bride in a blue formal dress due to fabric rationing during the war. Castledare audience Naomi, Elizabeth, Annelle, Curtin staff members Naomi Moylan & Anelle Young, and Catholic Homes Project Leader Elizabeth Oliver (centre). Photo: Supplied. Travel often became prominent later in life, which in many instances was proceeded by earlier enforced travel due to the war, boarding school and working on remote farming properties. The project was a valuable way of connecting with some of our newer residents and their families. For example, a talented craftsman, diesel mechanic and shrewd card player, featured resident Roland You recently moved to Castledare. Naturally social, he enjoys his role as the local mailman and said: “It was fantastic to see my story, I didn’t realise I had such an interesting life”. Joined by his daughter Samantha during the screening, he said: “I had fun with the students and it was lovely to have the company”. Bev Rowbottom joined Castledare in 2017 and has led a fascinating life as a nurse, including a 20-year stint in Secunderabad in India, where she was lucky to meet Mother Teresa twice. An avid gardener and nominated as Volunteer of the Year in 2015 by the Belmont Small Business Awards, Keith Glance was diagnosed with early onset Alzheimer’s at the age of 52. Together with his wife Wendy, they bravely set out to break down the stigma of the condition. His legacy lays in raising awareness and with the establishment of the Memory Café at Garden City Shopping Centre. Students Ellie Clemitshaw and Amy Duffield with Keith Glance’s wife Wendy. Photo: Supplied. Students Amy Duffield and Ellie Clemitshaw worked on Keith’s story and Amy said: “Dementia does not define who someone is, it’s a part of them but it doesn’t define them. Behind the presenting symptoms of dementia is a person with memories, emotions and stories to tell”. So many of the students reported what a privilege it was to work with and create the digital autobiographies. It was a sentiment evidently shared by the enthralled audience and deeply appreciated by the residents. Moving, and at times poignant, the stars of the movies were entrenched in memory as their lives flashed up on the screen. A lasting legacy and a cherished keepsake, the Curtin Digital Life Stories Project is a precious memento of the extraordinary lives of Catholic Homes’ residents. Courtesy Catholic Homes Dove Magazine.